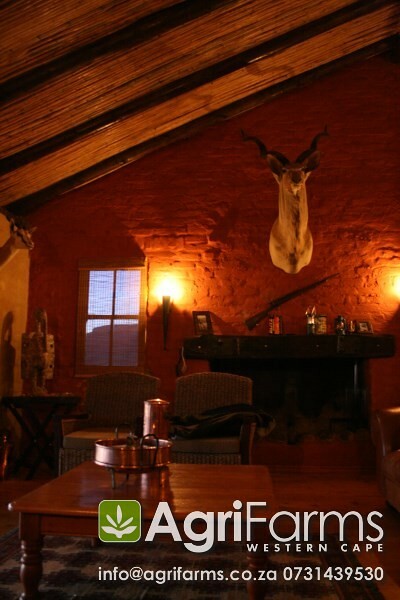 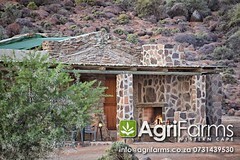 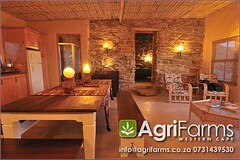 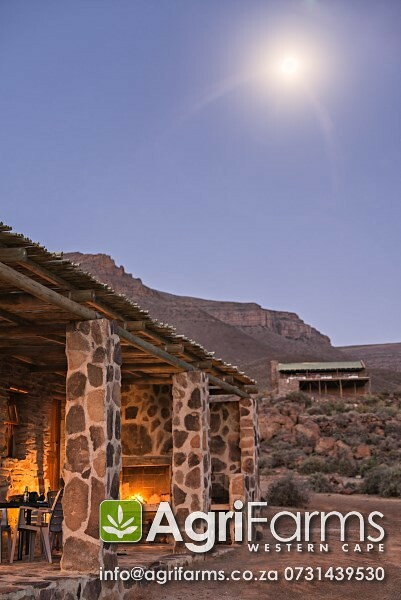 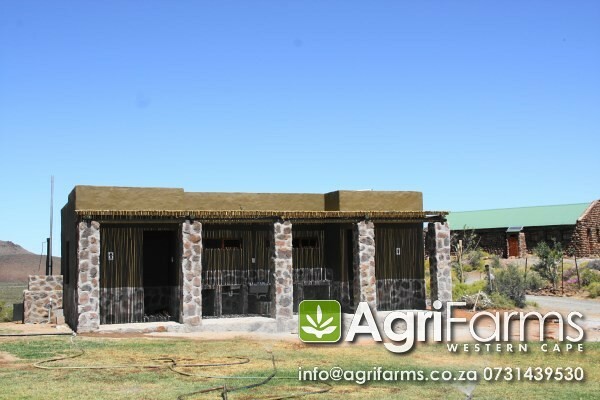 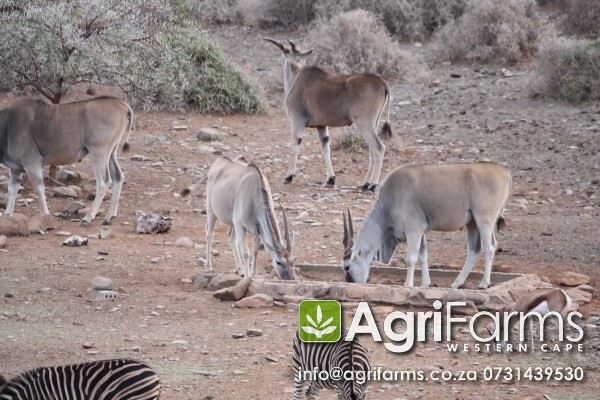 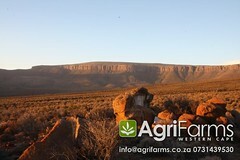 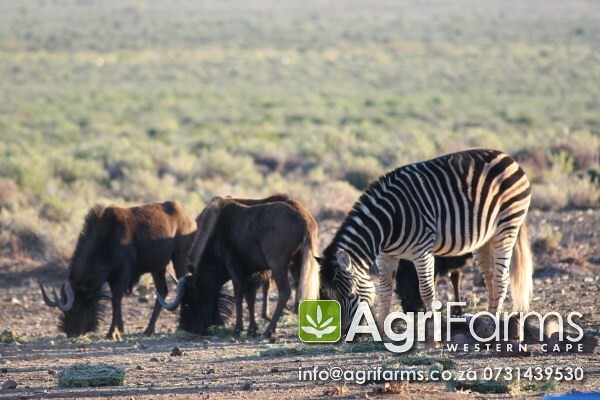 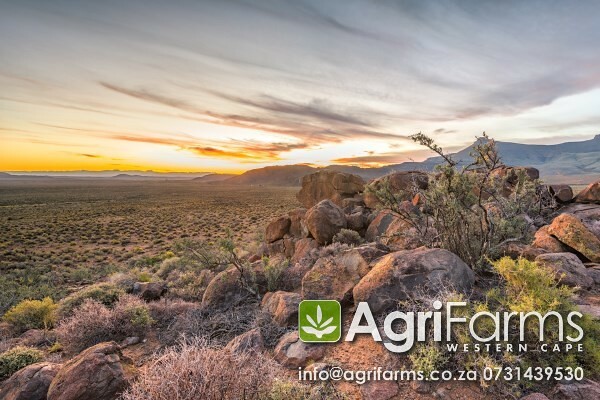 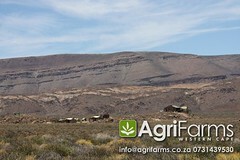 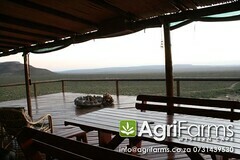 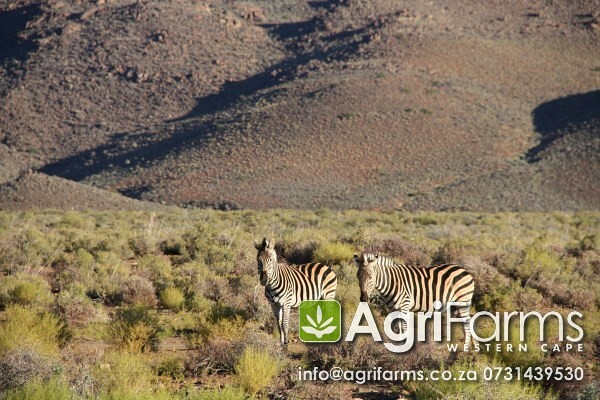 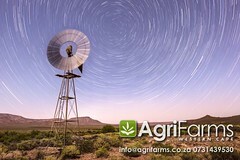 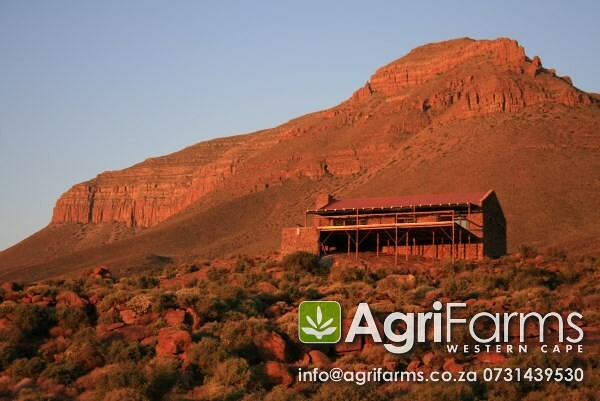 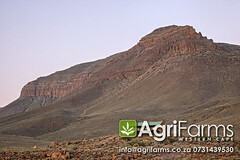 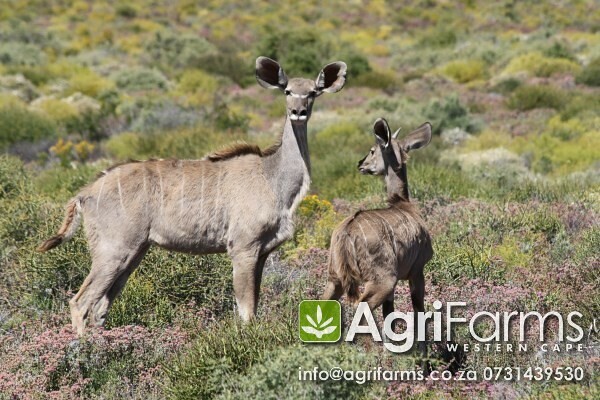 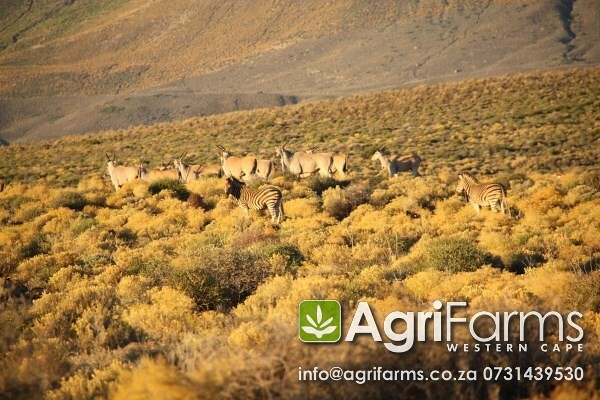 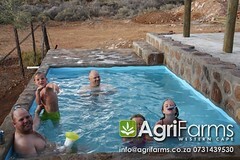 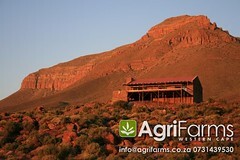 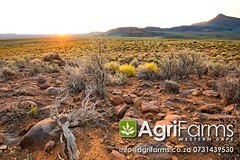 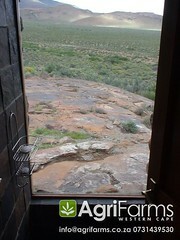 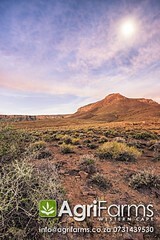 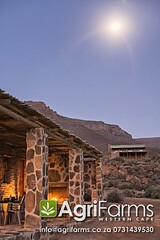 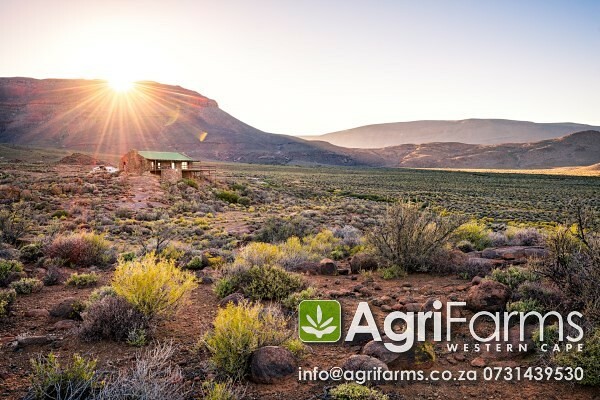 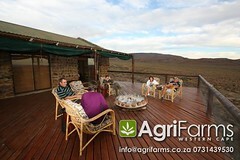 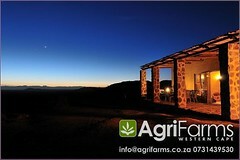 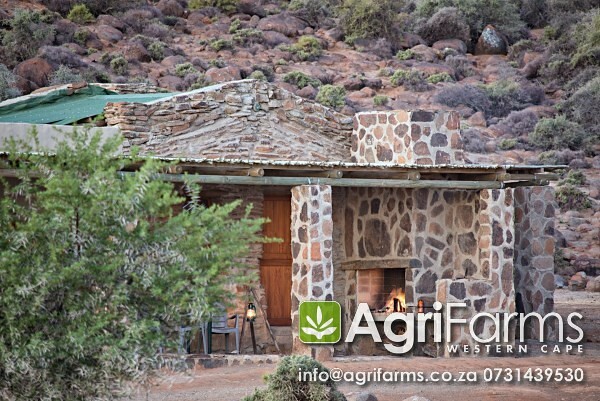 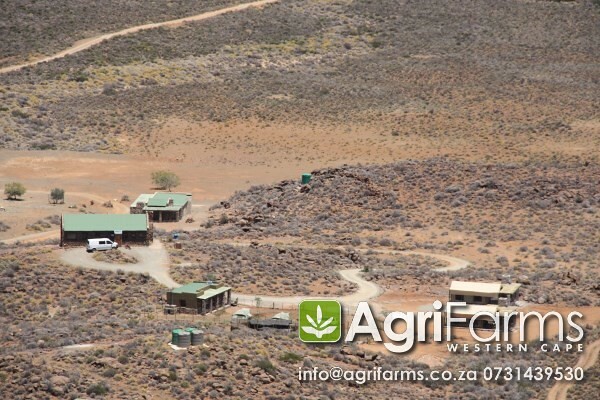 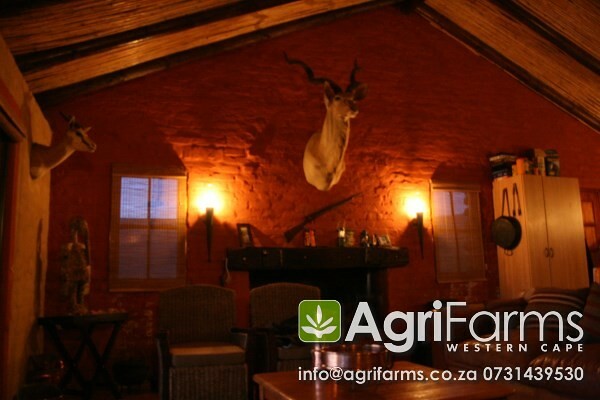 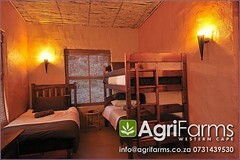 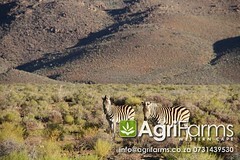 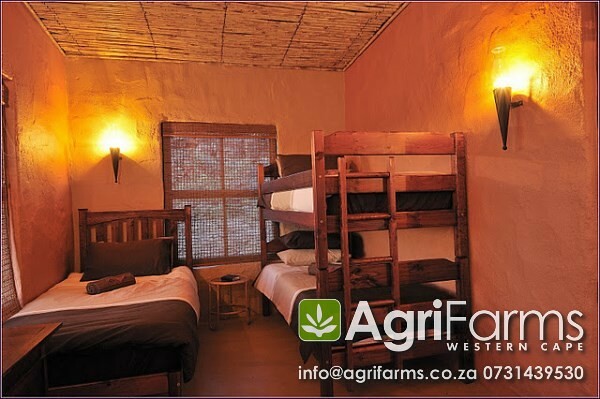 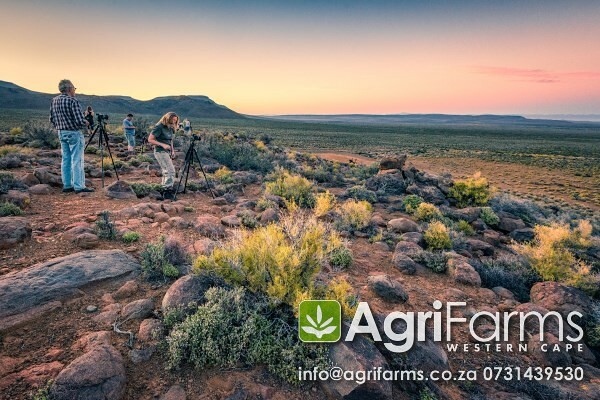 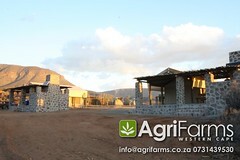 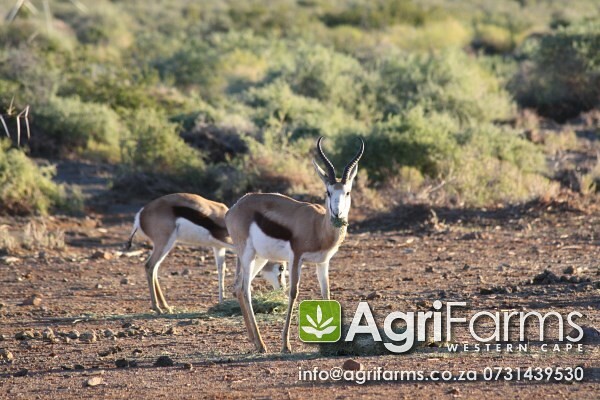 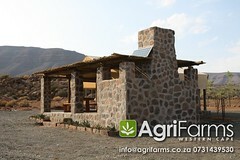 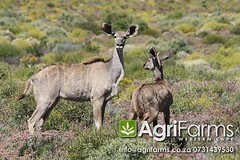 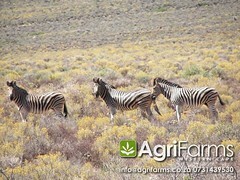 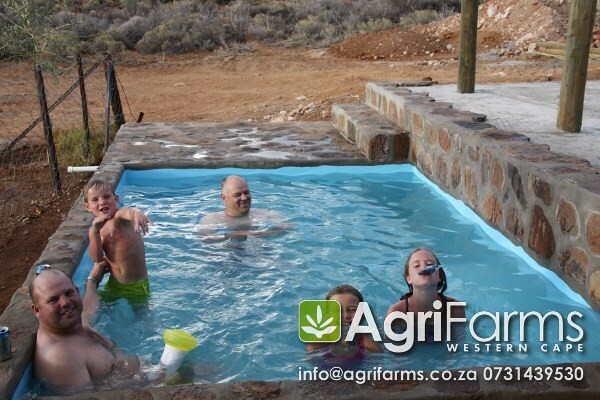 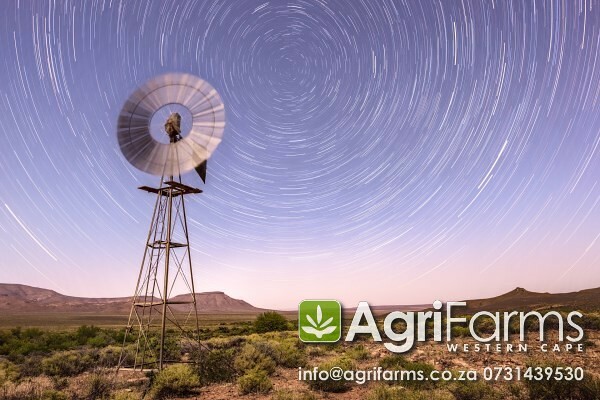 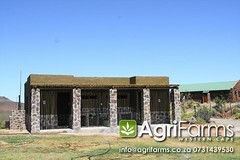 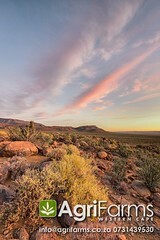 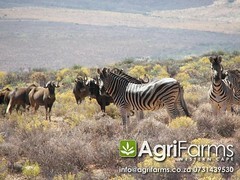 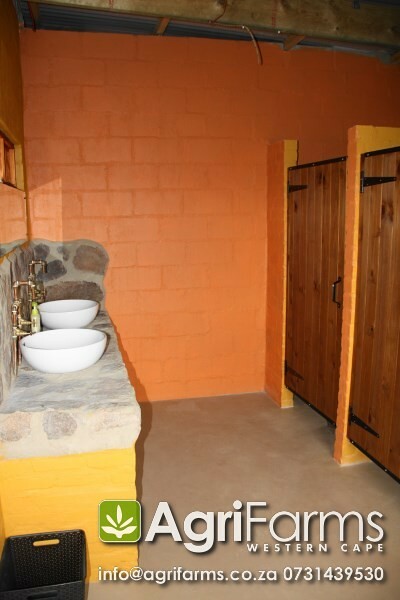 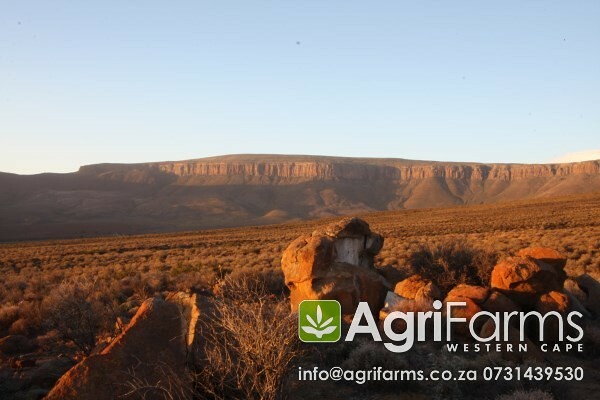 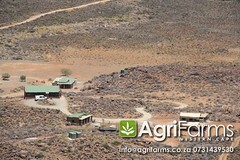 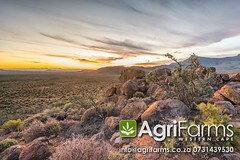 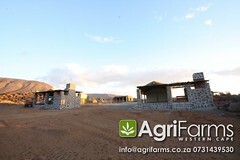 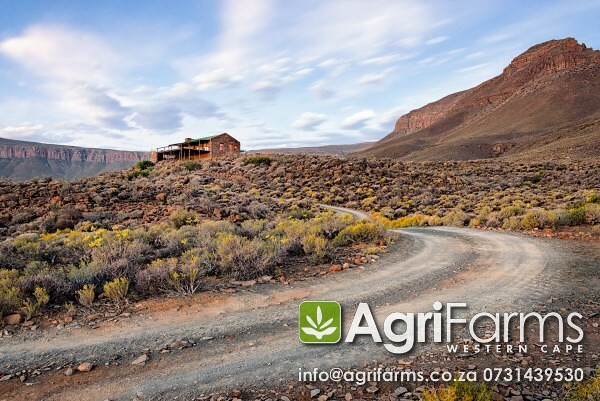 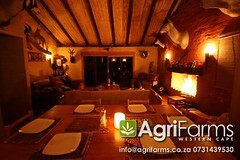 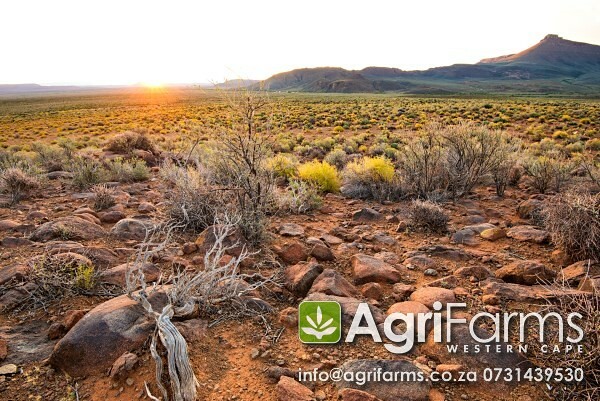 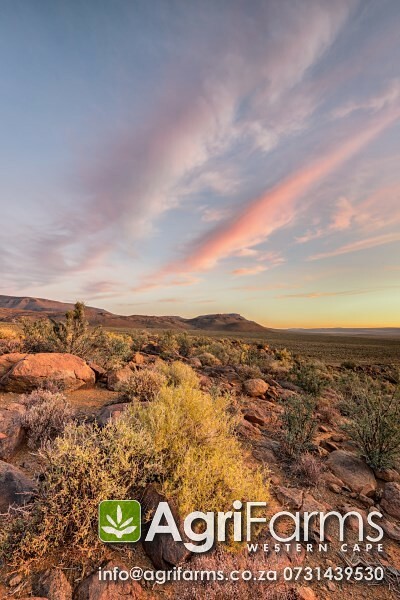 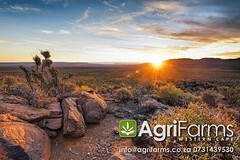 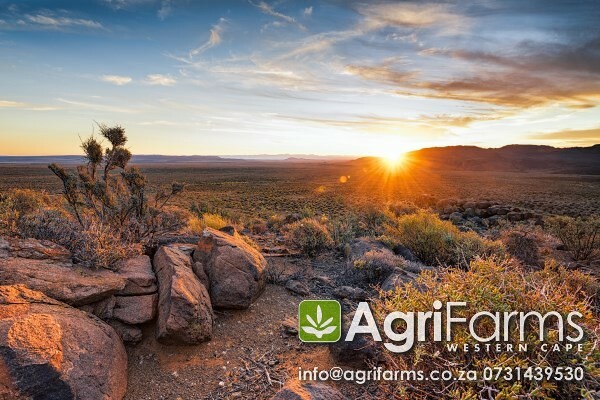 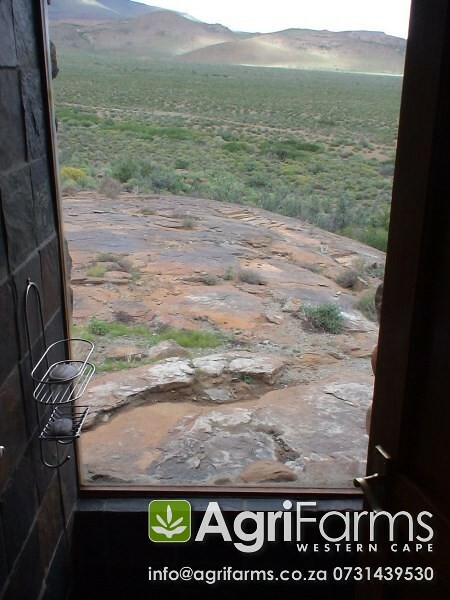 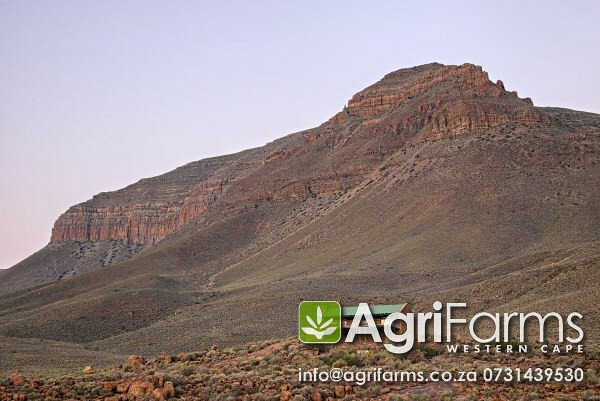 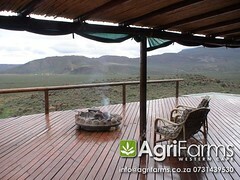 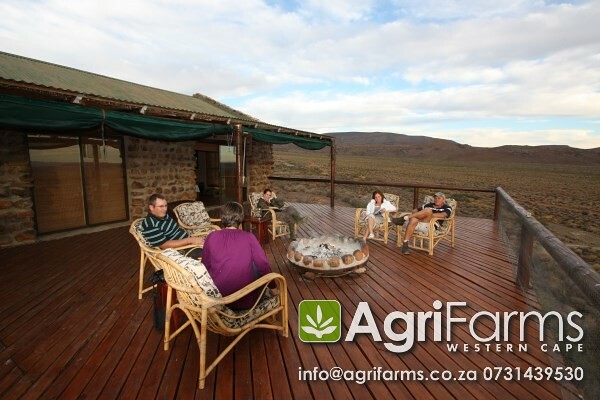 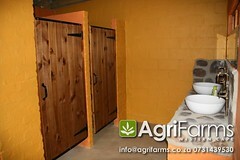 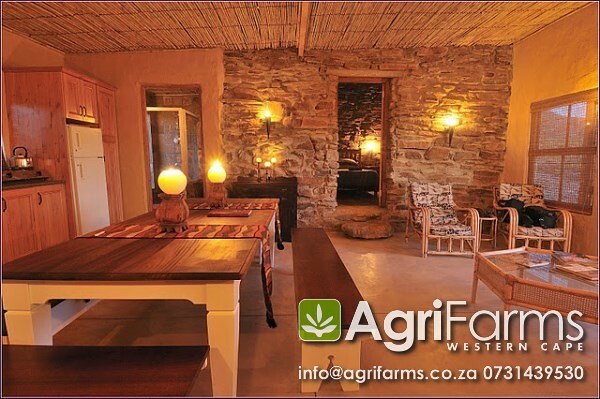 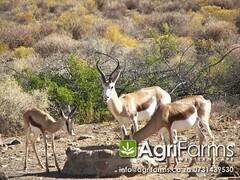 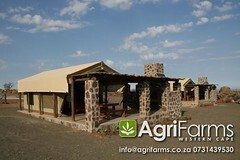 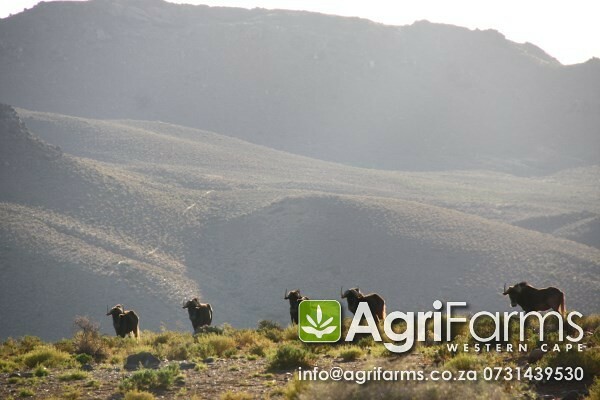 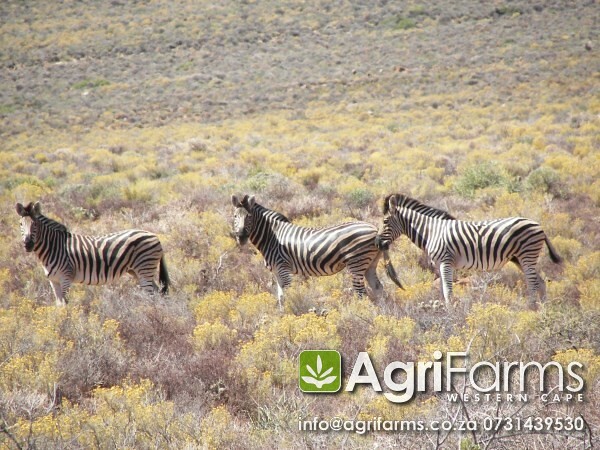 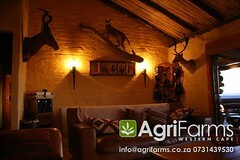 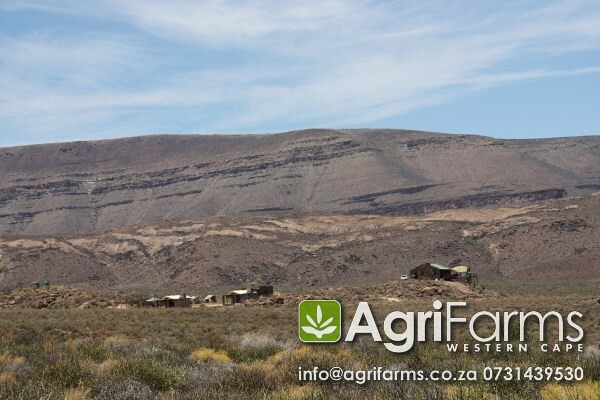 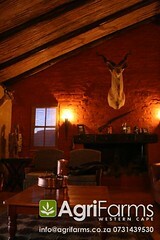 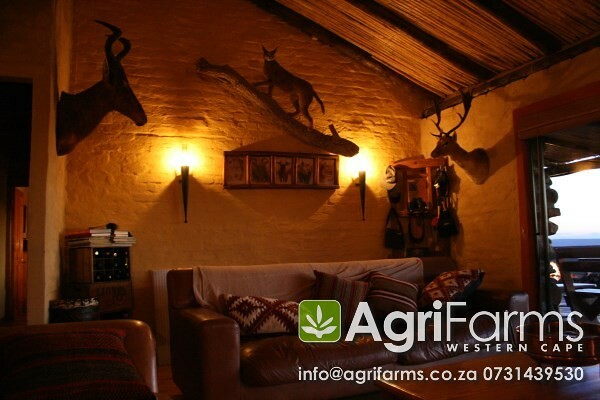 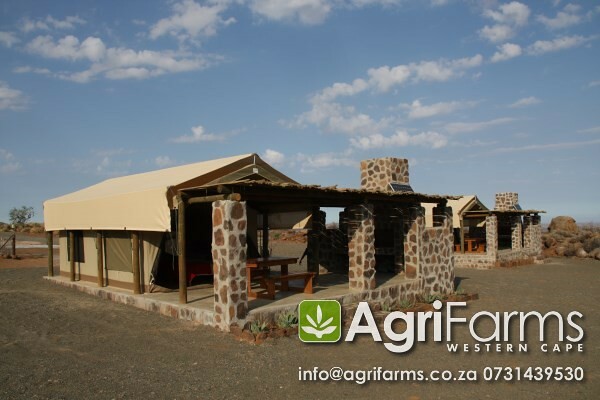 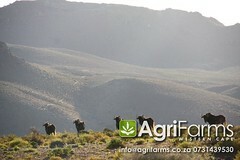 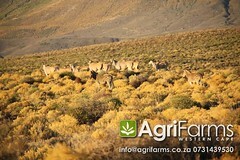 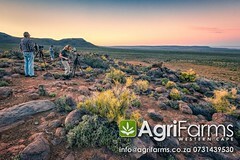 Game guest farm for sale around Calvinia in the Northern Cape. On the one side of the warehouse is a farm worker house with an open plan kitchen / lounge, 1 bedroom and 1 bathroom, and double garage, with newly built butchery, plus cold storage facilities, for the hunter. 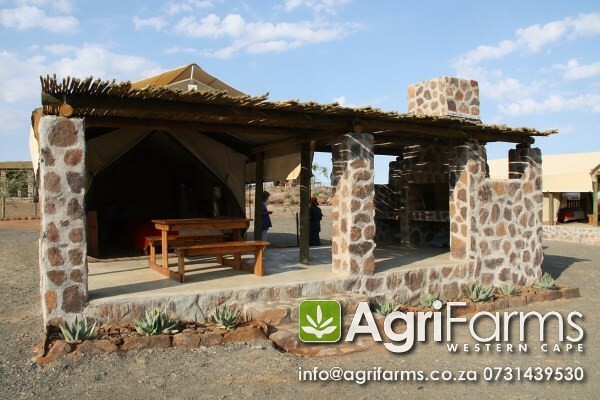 Open plan kitchen lounge, 3 bedrooms, 2 bathrooms (1 on-suite) inside fireplace, big verandah with fire place and splash pool, no cost has been saved. 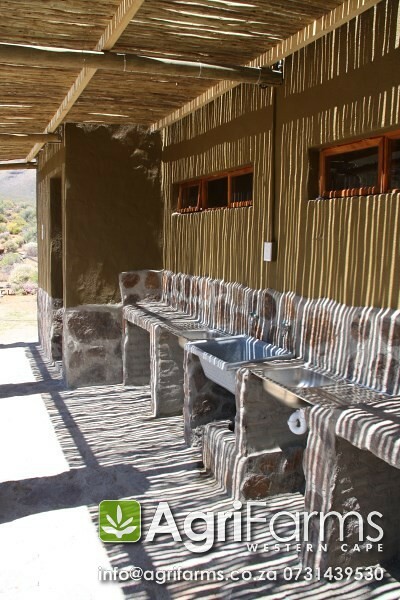 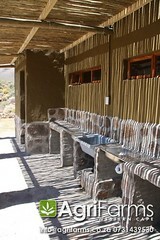 A brand new guest cottage “hunter hut” have just been completed. 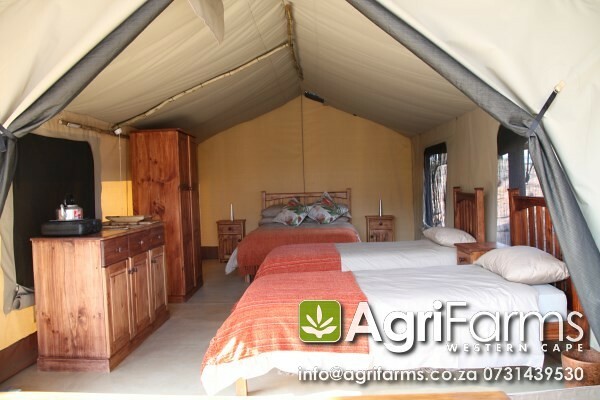 It can accommodate 8 guests. The interior and exterior are off the highest quality, and was fitted with the best interior, where again no cost were being saved. 2 x brand new fully equipped lodge tents have been erected that can each sleep 4. 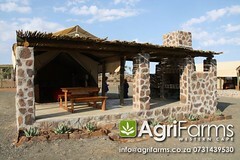 A brand new campsite with 5 star ablution facilities has just been erected. 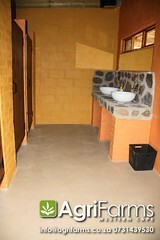 The sight can easily accommodate 30-40 people. 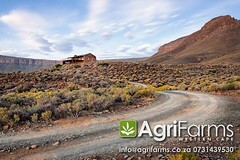 Well established road network on the farm, and up against the mountains, to drive around with 4x4s and quad bikes.